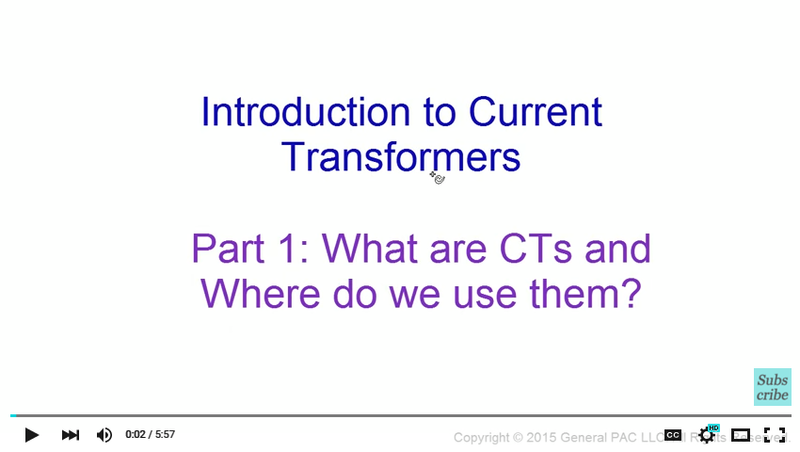 Introduction to current transformers Part 1: What are CTs and where do we use them? 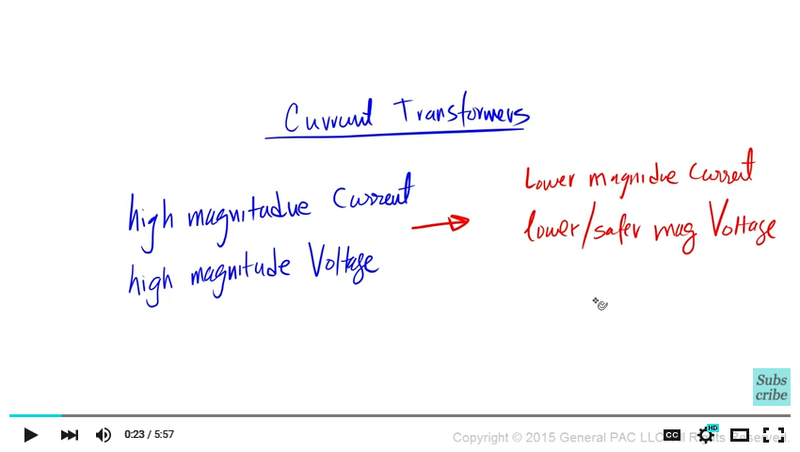 Current Transformers transforms current at higher magnitude of current and high magnitude of voltage to current that is at a lower magnitude and much safer magnitude of voltage. So let's setup a scenario. 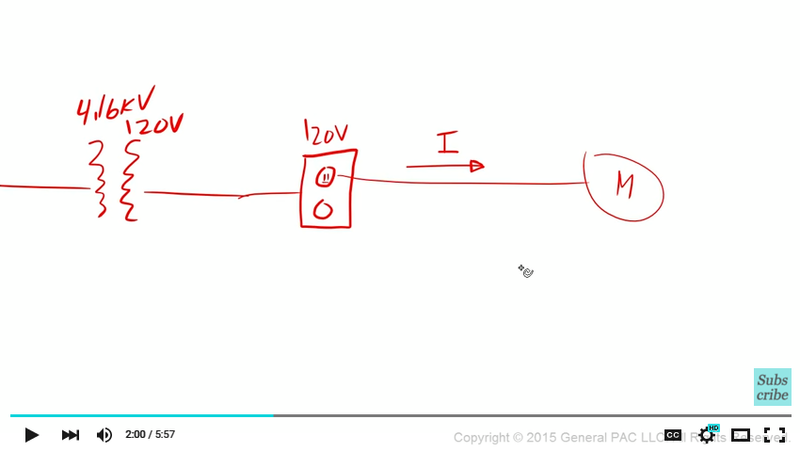 So let's assume that we have a power system like a generator for example that's generating voltage at 13.2kV. 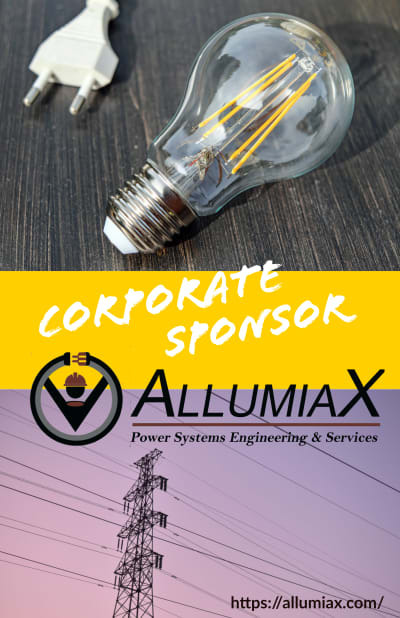 It's hooked up to a step up transformer that steps the voltage from 13.2kV to 115kV and then through transmission lines, carries that voltage to a distribution transformer that's in our neighborhood. And that distribution transformer transforms that voltage from 115kV to 12.5kV which is much safer. And then, that goes into a facility that we work in. 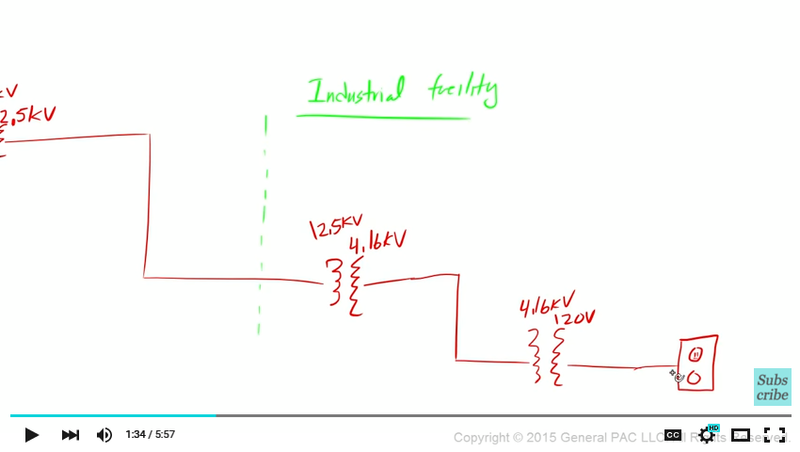 And that facility takes in high 12.5kV voltage. So suppose that we worked in an industrial facility. Inside this industrial facility, we have a step down transformer that transforms the voltage from 12.5kV to 4.16kV. And then we have another transformer that steps down the voltage again from 4.16kV to 120V. And 120V is serving an outlet somewhere. Okay so there's an outlet somewhere and that outlet is getting 120V. So to setup a scenario where wouldn't want to use a current transformer – well suppose this outlet is 120V. The output of that outlet is 120V. It's connected to a motor. So the motor is live and when it's live and when it's live there is some current that is feeding this motor. Suppose that our manager or supervisor or whoever comes up to us and asks us – find out what this current is. I want you to find this current that's feeding this motor at 120V. We look at him and we say well that's pretty forward right. We know how to do that. All we need to do is take out our handy dandy multi-meter. This multi-meter is also rated at 120V. It has a nice digital display here. And we set this multi-meter current values. So we're going to be inputting current. Then we disconnect this wire from the motor and take this wire and go through our multi-meter, and back into the motor. Then what happens to current is simply right? The current flows from the electrical outlet, current simply flows through our multi-meter, and then from our multi-meter goes to the motor. And in through our multi-meter, it'll tell us the value of current – how much current is flowing. Let's say that the current is 6A. Well it's 6A at 120V. That's how much current that's flowing through this multi-meter. What if we have this motor that was connected at 4.16kV voltage. And this motor – same concept right. There is current that's flowing from this particular tap – current is flowing into this motor right here. And that same person comes up to us and asks us – well find out what the current is that's flowing to our motor. How would we accomplish this? Can we simply take our multi-meter that's rated at 120V. Can we do something like this? Can we disconnect the wires and flow it through the multi-meter? Well the answer is no we can't. And the reason why we can't is very simply. This multi-meter here is only rated for 120V. And the voltage that's hooked up to this motor here that's at 4.16kV. So if we tried to do that – it would blow up. So how we would accomplish this particular task? This is where a current transformer comes into play. 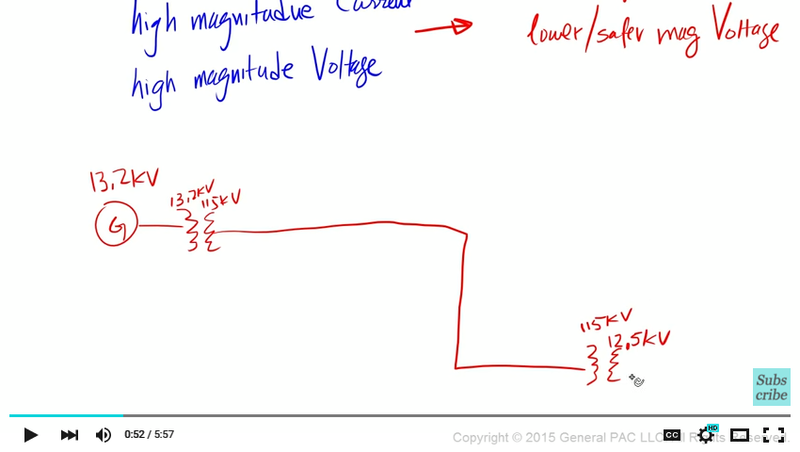 A current transformer would hook up to this line here at a much higher voltage. The current which would be at a much higher magnitude of current. It would transform the current and bring down the voltage to a safer a management level so we can use our multi-meter. We would simply do this right here. I just created this simply circuit here. And the way that it works is that the current that's flowing to this motor – we'll call this current I_p – that's the original current – the current that's feeding the motor. And then we have another current and that's the current that's flowing through our circuit. And that current – let's call this I_s. And I_s is flowing through like that and going to our multi-meter and flowing out that way and complete the circuit. 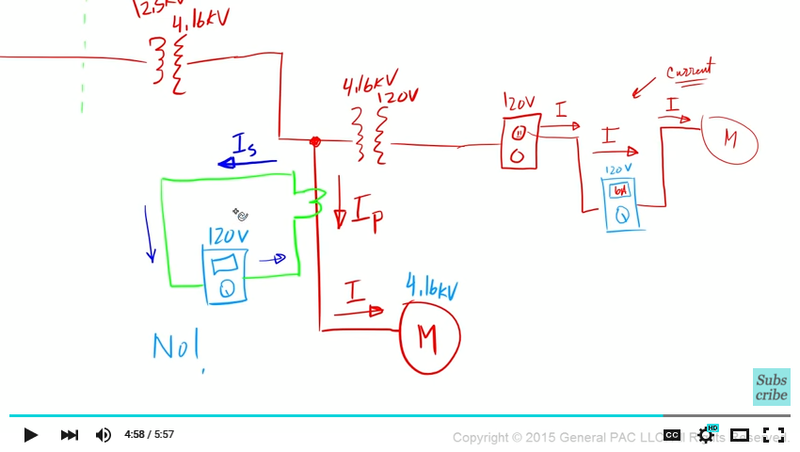 Okay for a current transformer, I_p which is this current here and I_s which is this current here. They are both related. So let's go over some of the terminologies. 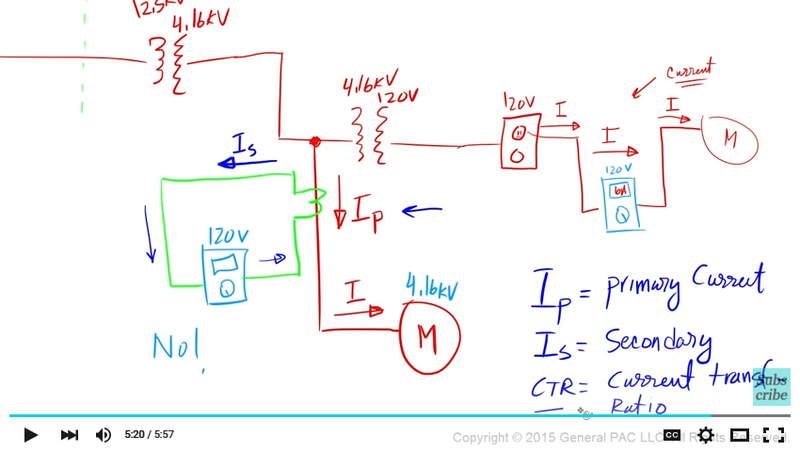 So I_p is called primary current. 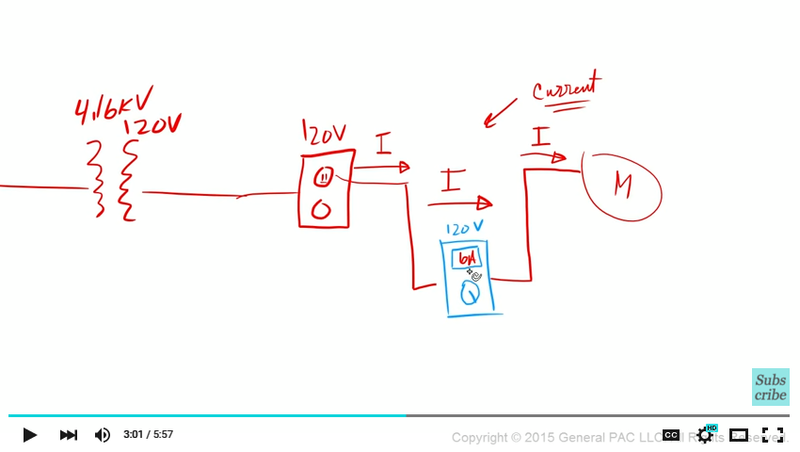 I_s is called secondary current. And CTR is called current transformer ratio. Now the CTR is the thing that relates I_p to I_s. So this a very simplified example of a situation where we would use a current transformer. And the basic terminologies that is involved in a current transformer. 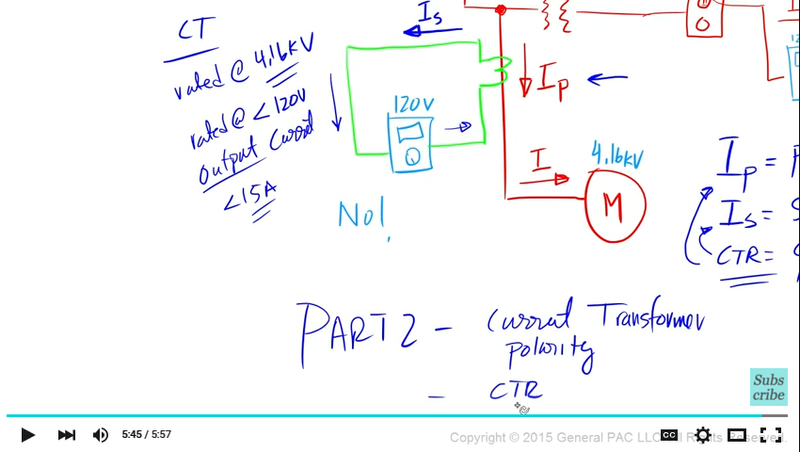 In Part 2, we'll look at the current transformer polarity marks and we'll also look at the CTR and relate primary current with secondary current. Thank you. This module was brought to you by GeneralPAC.com – making power system protection, automation, and controls intuitive. So what happens to current is pretty straight forward right?